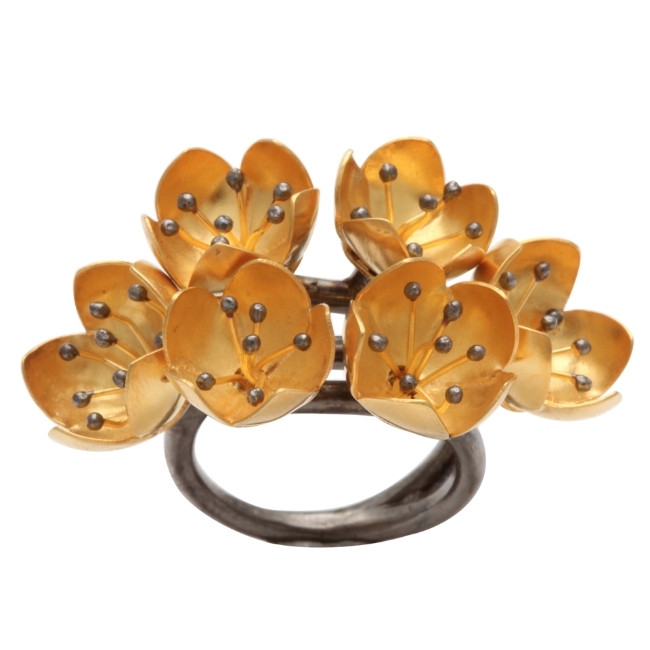 An 18kt yellow gold and rhodium plated sterling silver buttercup ring. the ring is composed of six buttercup buds and each buttercup is set with clusters of 18kt yellow gold pistons and rhodium plated sterling silver beads. The ring shank is made of a rhodium plated sterling silver vine.